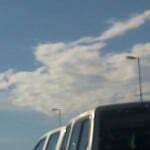 This is one of the first angels I recognized in the clouds. She is my favorite! I love her beautiful energy! In one of my life coaching classes we had been talking about the angels leaving feathers for people to find as a reminder of the angels constant presence. I decided to ask for a feather as that hadn’t happened to me (at least when I was aware of it). Imagine my surprise when I looked up in the sky and saw this rainbow cloud! I love how the angels give what we ask for in the way that they want us to see. 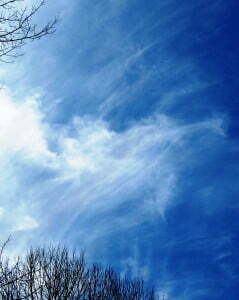 The clouds have been a wonderful way for the angels to communication with me since I was a small child. 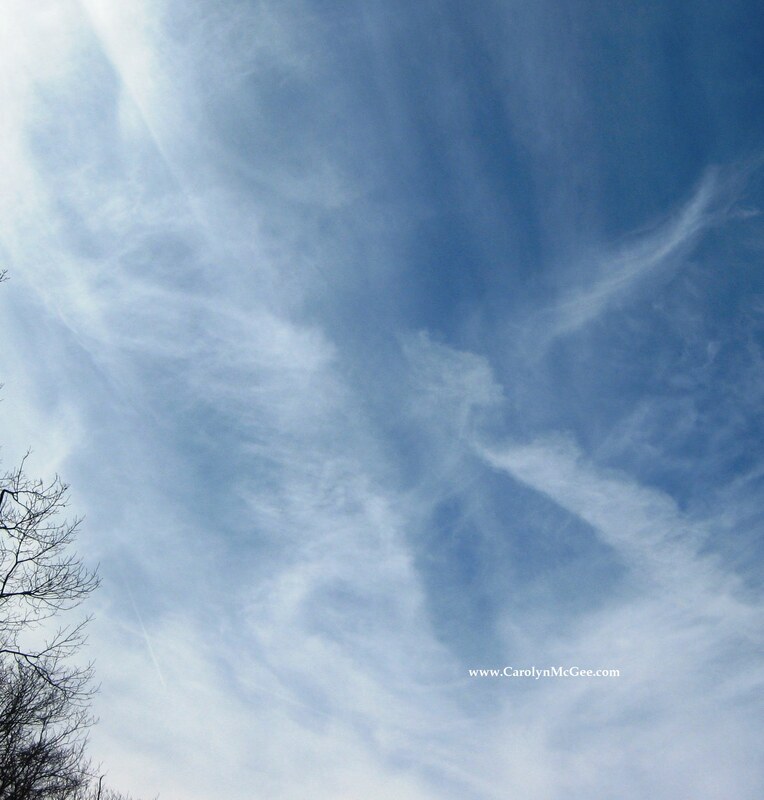 Have you received a feather or other confirmation of your angel’s presence? 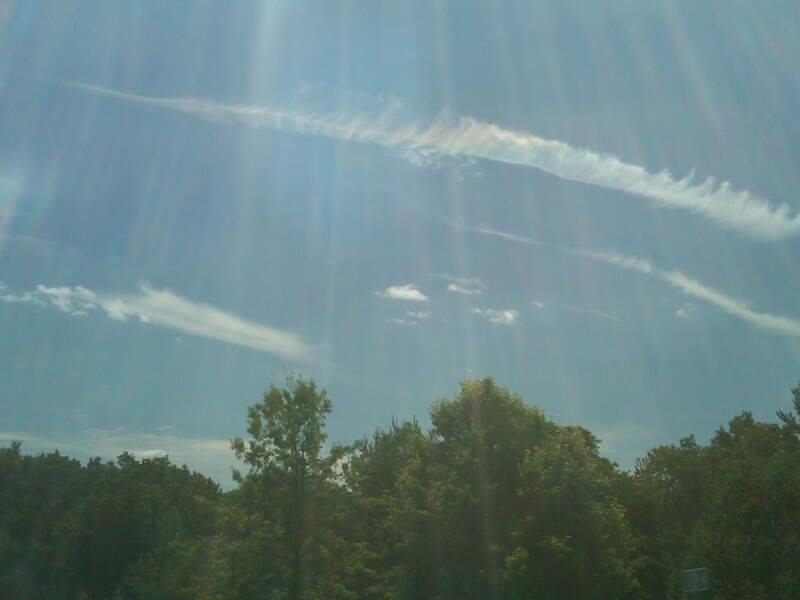 The day after I saw my first angel in the clouds I thought it would be wonderful to see another angel. I asked for confirmation that I was on the right path. I looked up to the sky and was thrilled to see this messenger heralding my acceptance of my connection to heaven. Ask and you shall receive. 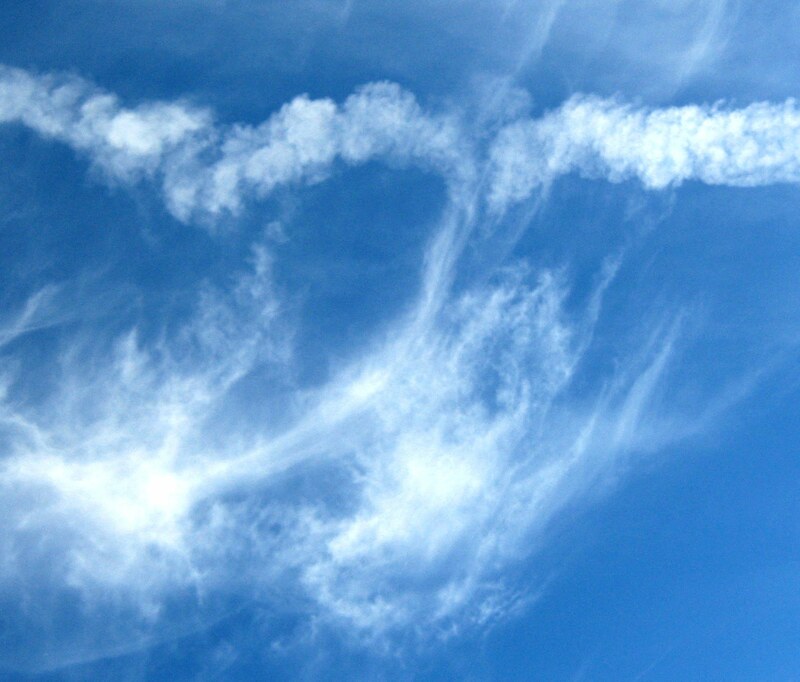 I felt so blessed to receive immediate confirmation that the angels were supporting me on my new journey. How have you received confirmation that you were on the right path? I was walking a dog and thinking about how much I love the Angelic Life Coaching class I was taking. I was happy and feeling like I could do anything. 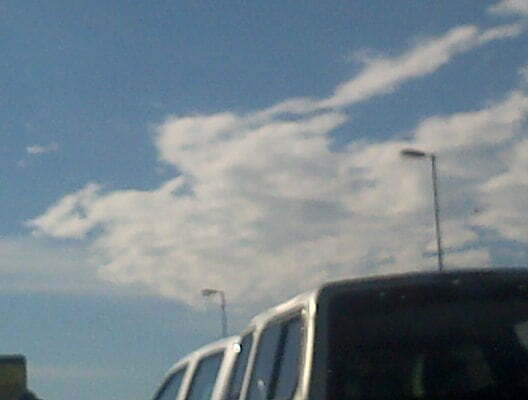 I looked up and saw my first angel in the clouds. I felt a sense of awe and amazement. The love I felt with seeing this beautiful image was profound and so affirming of the path I was on. I knew that I was reconnecting with heaven in a way that I hadn’t since I was a child. What message reopened your eyes to your spiritual path? Check out Carolyn’s Meetup group for local events.